For some Ebola survivors, overcoming the lethal viral assault has not heralded a full return to good health. An array of ailments including headache, joint pains, vision and hearing problems have afflicted convalescents; experts are still uncertain of the exact cause. Not all survivors of the virus, which has been rampant in Guinea, Liberia and Sierra Leone since earlier this year and killed some 70 percent of patients, suffer the symptoms, the extremes of which include amenorrhea (the absence of menstruation) and erectile dysfunction. It is also not yet known why only some are affected. Margaret Nanyonga, World Health Organization (WHO) consultant clinician, who has assessed 85 Ebola survivors with various symptoms in Sierra Leone’s eastern town of Kenema, told IRIN that some of the ailments were treated, but others such as vision and hearing problems tended to persist. “The ladies complained of menstrual failure, but these resumed after three months. They also complained about hair loss. Men complained of testicular pains. We don’t know whether it can lead to impotence or not. That is a worry. Some men have reported erectile dysfunction. There are also psychosocial disorders, loss of sleep, anxiety and depression,” she said. Nanyonga explained that the clinic she operated in Kenema is still the only one of its kind in the country dealing with post-Ebola conditions. Responding to Ebola outbreaks in the past, she said, has often ended when the virus is brought under control. “No one had taken interest in the survivors. After fighting the epidemic, that was the end. But before, there were fewer people surviving Ebola,” she said. There are comparatively more survivors in the current epidemic in West Africa (because the scale is also unprecedented). Response strategies in the three West African countries have incorporated psychosocial support for families affected by, and survivors of the virus. But much remains unknown about the causes and impact of the post-Ebola ailments. In an October survey Nanyonga conducted in Kenema, most Ebola survivors complained of joint pains and headaches. More serious conditions such as deafness, amenorrhea and erectile dysfunction were rare. She said there is a need for further investigation of the ailments suffered by those who recover from Ebola. “We also want to know whether the symptoms are due to the virus itself, the treatment, or the huge amounts of chlorine used for disinfection in the treatment centres,” Nanyonga explained. There is no approved medicine to treat Ebola. Basic medical interventions involve providing intravenous fluids and balancing body salts (electrolytes); treating other infections, if any, triggered by the virus; and maintaining body oxygen levels and blood pressure. Nanyonga’s study found that 94 percent of the survivors were rejected by their communities upon discharge from Ebola treatment centres. Difficulty in finding jobs and self-stigmatization are also adding to the misfortunes of the survivors. There are also fears that the post-Ebola diseases could become chronic in certain cases or lead to disability, infertility or social problems such as family break-ups, the survey suggested. Ebola’s after-effects on survivors (referred to by some as post-Ebola Syndrome) have not been extensively studied as there have been few outbreaks prior to the current epidemic in West African which has killed nearly 7,000 people of the 18,603 cases reported by WHO in its latest statistics. 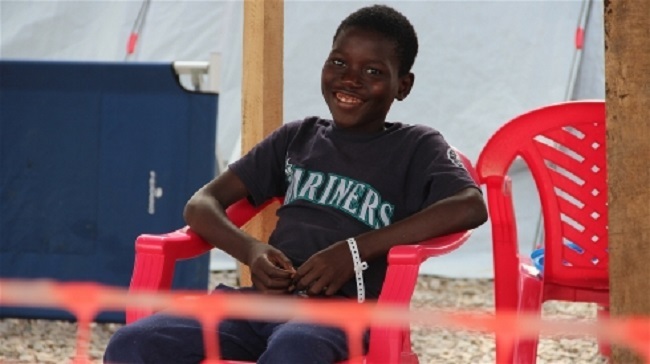 Those who recover from Ebola develop immunity that can last up to 10 years or even longer, according to the US Centers for Disease Control, which also notes that survivors can develop long-term complications such as joint and vision problems.